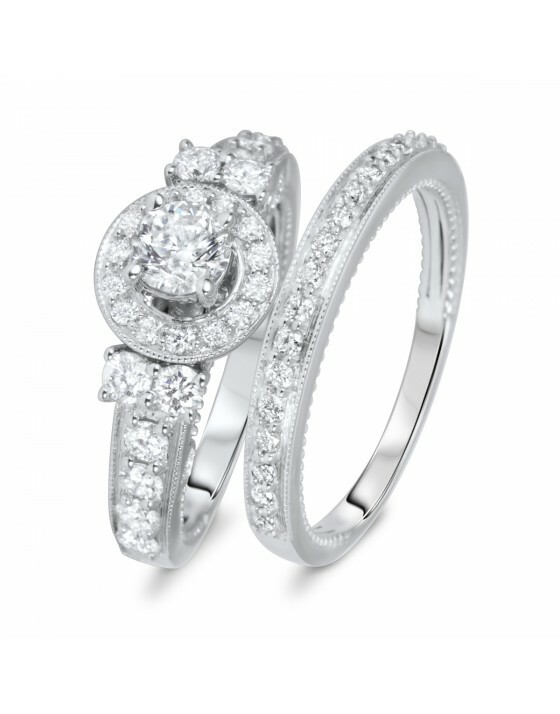 A channel setting secures the diamonds with two tracks of precious metal. It is one of the safest settings protecting the diamonds from any bumps during wear. 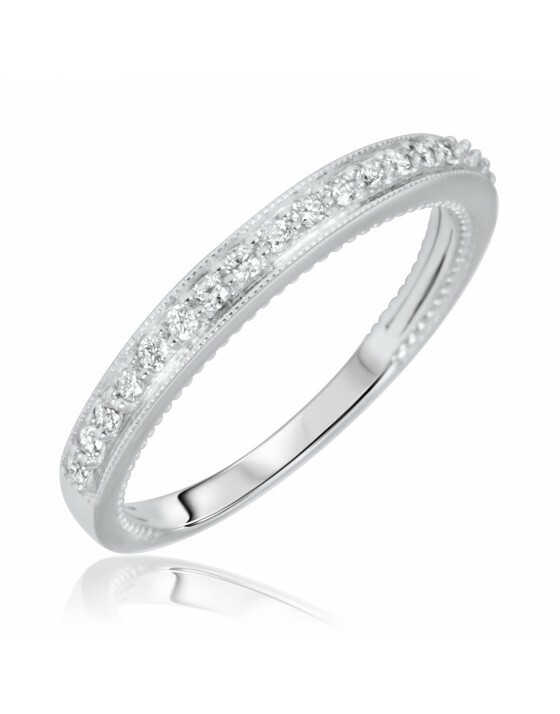 A bold band width makes a statement with its significant presence on the finger. 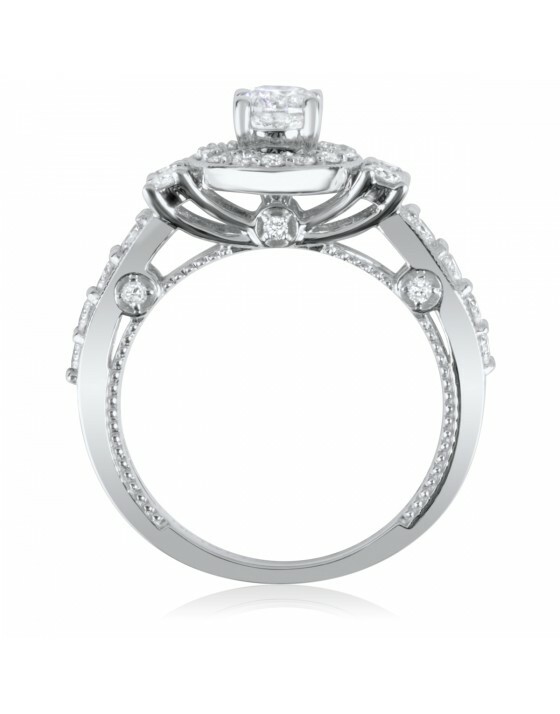 It measures 4 mm or more for a ladies ring and 7 mm or more on a mens ring. The concave fit features an interior that curves slightly inward and is made with less metal. The ring fit is lighter and more affordable. 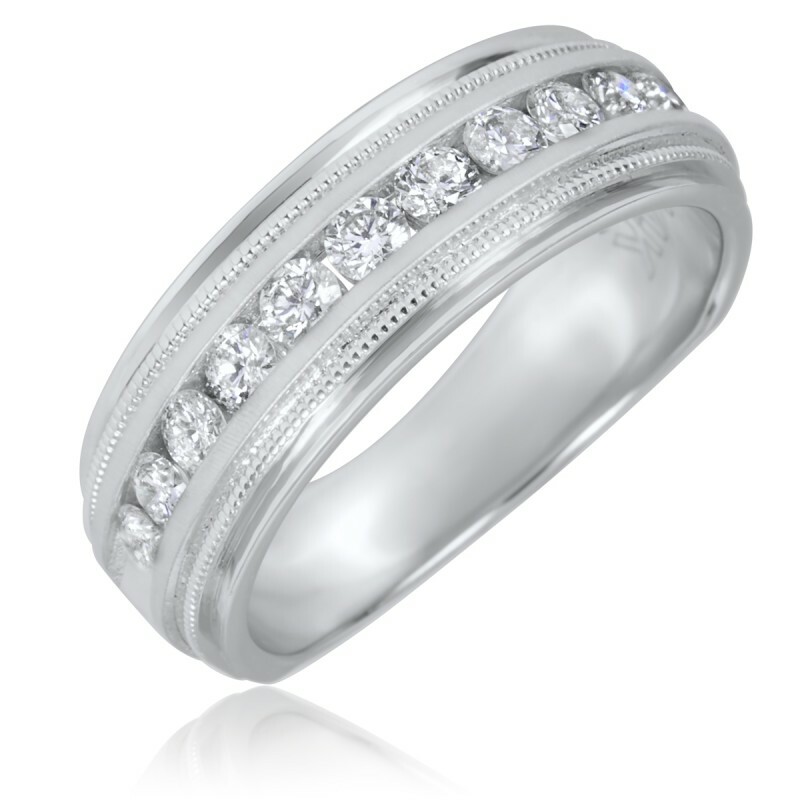 The men's band in this set creates an impact with its stylistic design. 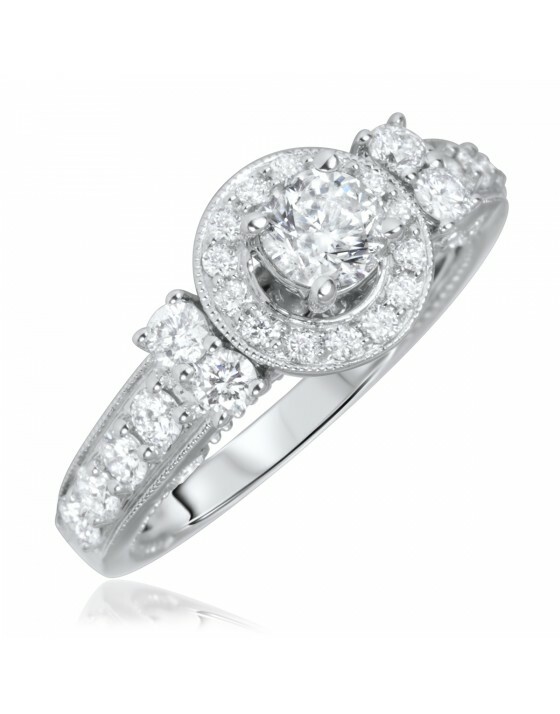 It features a channel across the front that is filled with sparkling round diamonds. 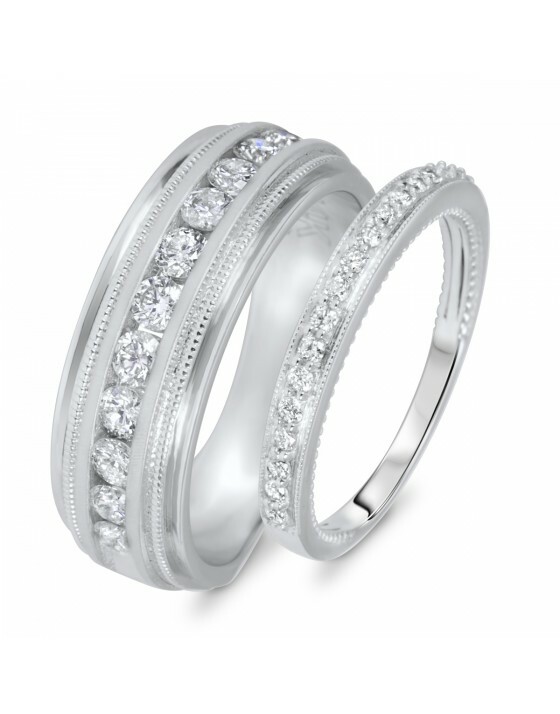 Large borders of 14K White gold on the top and bottom of the channel feature milgrain detailing to help draw your eye and remember your promise. Concave Fit Concave Fit / Lightweight This fit was designed to provide a larger look at a more affordable price. 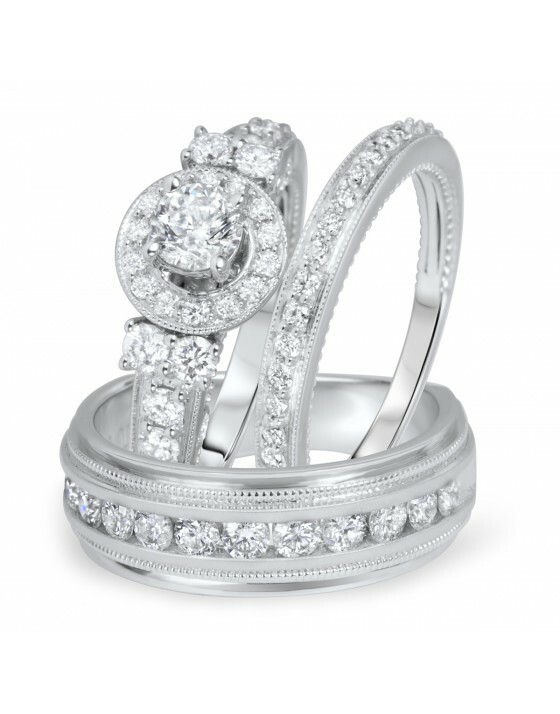 Using less gold weight allows designers the ability to focus on the overall beauty of the ring and still be mindful of price and structural durability. Gallery Fit / Standard Weight This fit similar to the Scoop Fit give designer the room to focus on beauty and structural durability, however a metal gallery encloses the scope with a comfortable textured design which provides added stability and improved comfort. Comfort Fit / Heavy Weight This fit was developed to provide ultimate comfort, by adding additional metal, rounding the interior and exterior walls. Our master craftsman and design team were given full creative control to design without limitation. No additional views of this ring are currently available, please reach out to our support team to request an on hand photo!